Gods walk the earth, pass judgement on those who seek them harm, and are now suffering the consequences when they are framed for yet another crime against humanity. But, just who is responsible for framing Lucifer (called Luci) for murder? This second issue starts diving into the core of this arc, as our every-woman groupie, Laura, sets out to help Luci. Gillen widens the scope of motivation for several characters introduced in the first issue, helping to make them more three dimensional. For example, with a few lines, Gillen provides a deeper background for the reporter looking to prove these teens acting as gods are fake. However, there are a few touches that make you question the importance of humanity in this story. While providing basic home knowledge about our protagonist, Laura, there are dozens of other details glossed over. At one point, he even has Laura’s inner monologue question the necessity for the reader to know this information for the sake of a clever segue. The reporter, introduced in issue one, and given even more insightful purpose in this issue, still lacks a name to herself for those who pick up here and cannot get ahold of issue one. Is it a commentary on the worth of humans woven throughout the existence through the gods existence or simply cutting fact for pace and flow of story? No matter what, the one-liner joke commentaries from Luci and the poetic train of thought from Laura continue to keep a fluid pace throughout the book. 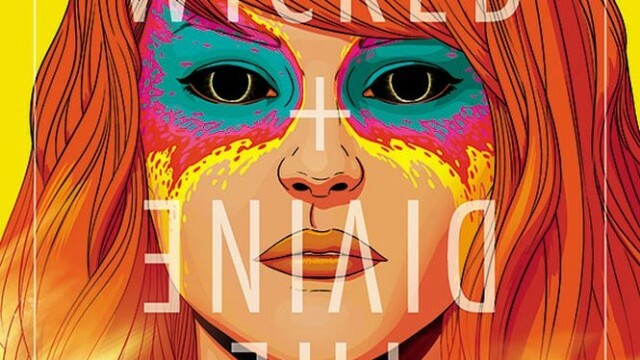 McKelvie’s art continues to provide tiny details, smirks and glares. Also, small nuances like cracks on a cellphone case help to bring the reader deeper into a teen-centric world. Matt Wilson’s colors go from neon pops to the dark blacks and reds for the darker gods of fire that Laura is investigating. The final revealing introduction at the end of the issue is a combination of intimidating art and bursts of color that provides a game changer to the initial storyline of how these gods walk on Earth. Keep an eye on timeline breaks with symbols and how they change. 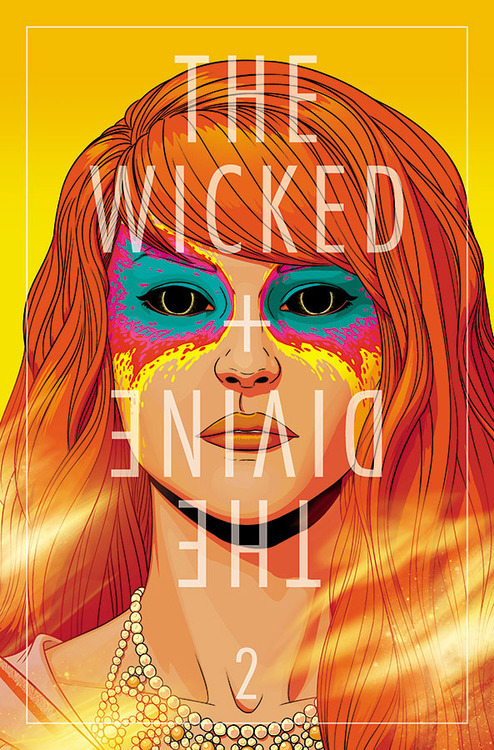 Empirically, I recognize the craftsmanship used to construct this book: McKelvie’s beautiful art, Gillen’s witty insight and Wilson’s bright spikes of color contrasted with dark scenes. However, I think what’s missing for me is the cultural context in my teenage years to genuinely appreciate the phenomena explored in a fictional world of teens at the feet of their idols. All these elements are there for a good story, however the lack of value Laura has for her own humanity creates a personal disconnect. She has this desire to be more, which many experience, but to the point of sacrificing anything else that could matter to her. We are not meeting a young adult in selfish transition, but one who has already decided that “the band” is more important than those who have shared their lives with her or her future. Laura’s family is not portrayed as abusive, neglectful or harsh, but just family. Laura speaks to solipsistic generations ready to sacrifice everything going right for a chance to touch and be burned by glory.